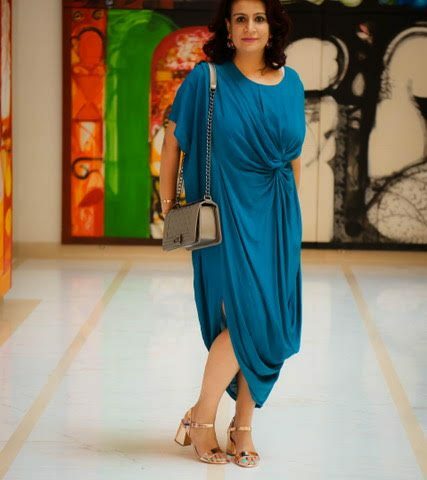 With its flagship stores in Ahmedabad and Mumbai, Jigna Shah is the founder and CEO of REVE’ Fashions and REVE’ Organika. 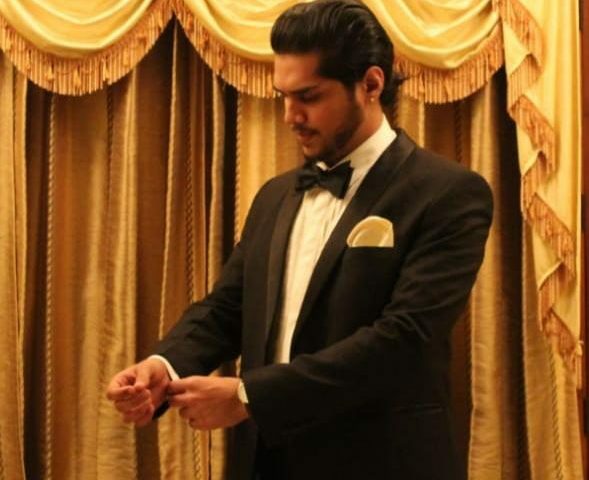 REVE’ is one of the most sought after and high-end clothing brands in Gujarat. The dynamic owner of this brand has been declared as one of the ’top 5 designers in Gujarat’. Not just that, Jigna Shah has also been declared as ‘Pride of Gujarat’, ‘Pride of Maharashtra’ and ‘Pride of India’ by our Prime Minister Narendra Modi’s NGO, Namo. 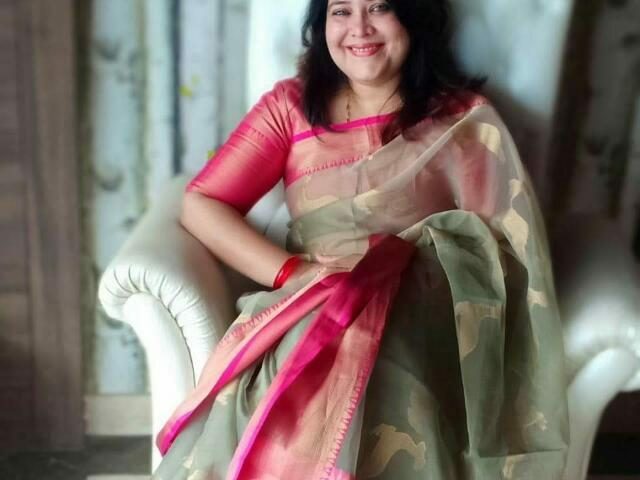 An alumnus of National Institute of Fashion Technology (NIFT), Jigna did her Masters’ in Commerce from the School of Commerce. 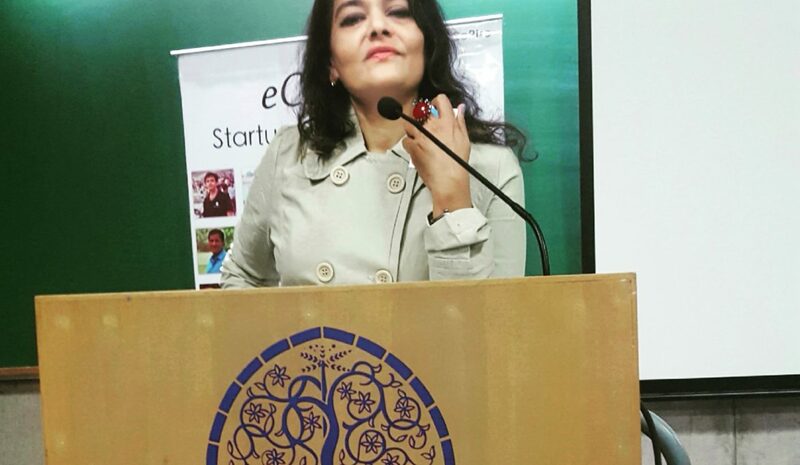 She has had the privilege of being a speaker, panellist and moderator on huge Indian platforms like E-Chai. Jigna is also a visiting faculty with esteemed institutes such as NIFT, NID and EDI. These renowned institutes have also documented a story on Jigna Shah for her success, for future reference of students. Being an entrepreneur and woman of stature, Jigna Shah has many feathers to her cap. 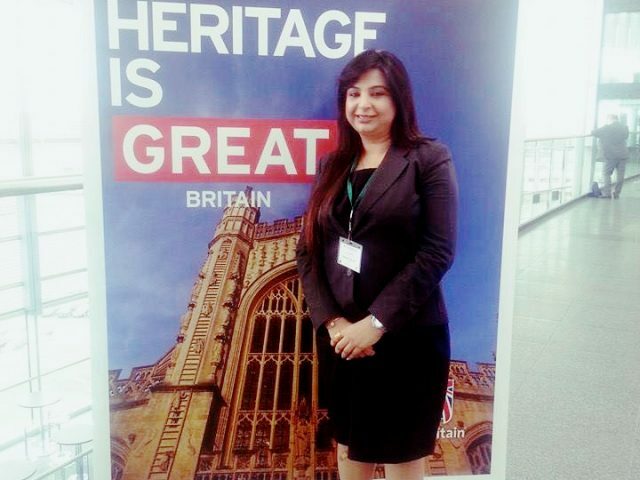 She has been honoured with Global Award as one of the “50 MOST INFLUENTIAL GLOBAL YOUTH LEADERS” by World Federation. 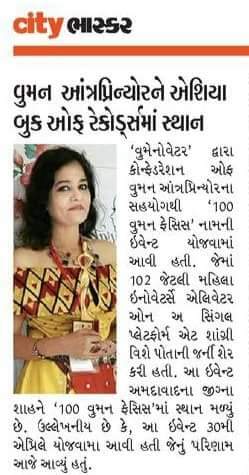 She has also been honoured as one of the 100 Women faces as Womennovators of India for 2018! 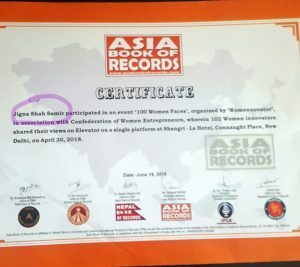 Her name has been entered in ASIA BOOK OF RECORDS & India book or records. 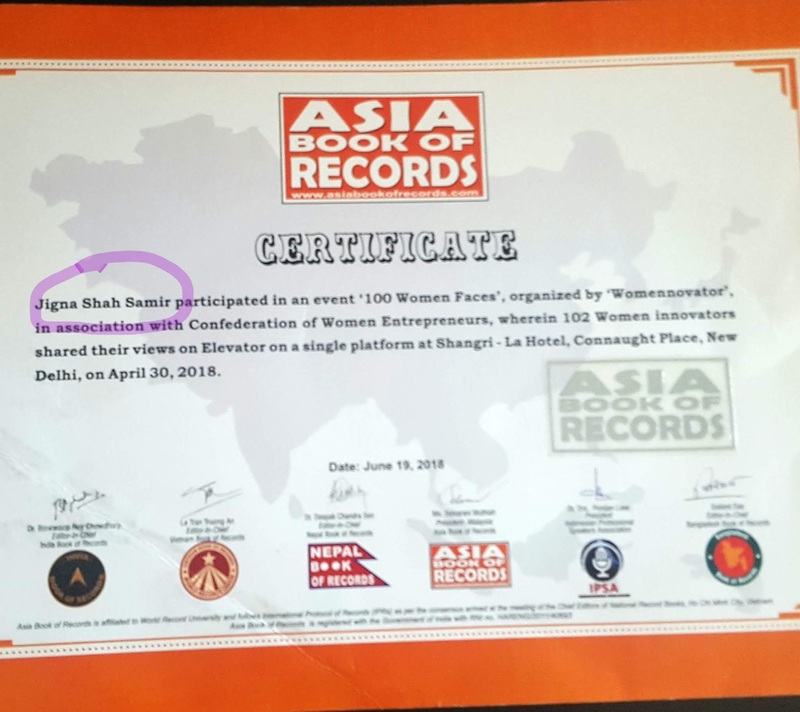 Jigna Shah has been selected as one of the 100 Women Entrepreneurs of India for 2016 for their incredible contribution as a role model to women, by World Bank Training Leadership Program. Jigna has won the Most Prestigious ‘Udgam Women’s Achievers AWARD’ in Business Category, for 2014. 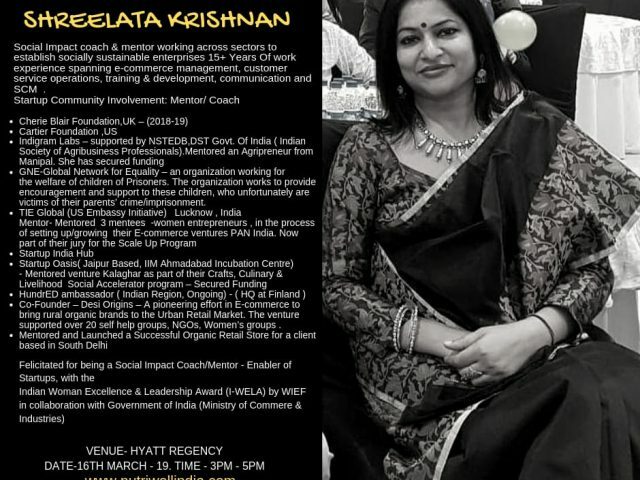 She has also won “Business Standard” Award as Entrepreneur of the year in 2004. 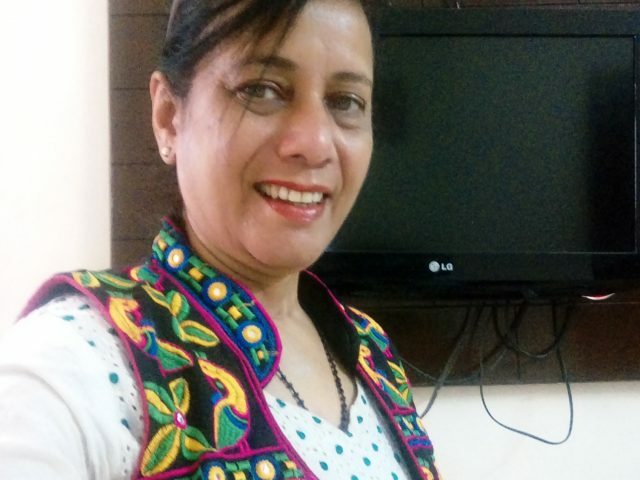 Jigna was selected as “Super Woman”, by most acclaimed Hindi film star Vidya Balan’s “Super Woman” Contest by Radio fm 95 and Radio aired Jigna Shah’s life story on radio for 6 months. To top it all, Jigna also works for various social causes. She has adopted few villages of Gujarat, giving employment to women artisans. 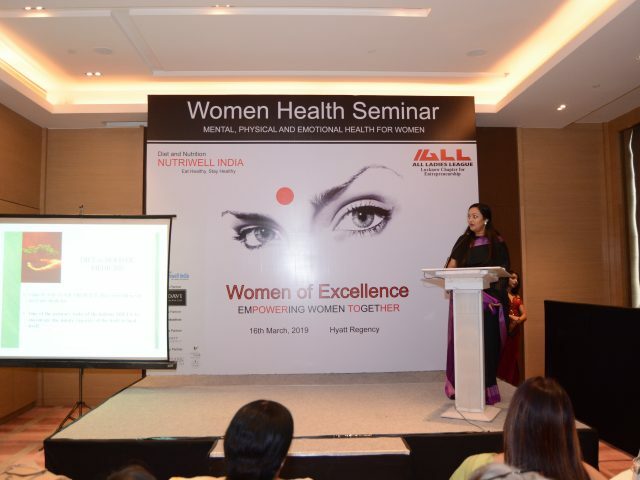 Jigna is one of the 12 most acclaimed and affluent Panellists of SHAWS committee (Sexual Harassment of Women at Work Place) by Emergency Help line for Women 1091. As for her future plans, Jigna Shah plans on opening design studios all across India. She also wishes to adopt Gujarat villages to contemporise their art and market it, thus helping them generate revenues for a better livelihood. She also wishes to contribute to the deprived sections of society by raising funds for them through events such as fashion shows.